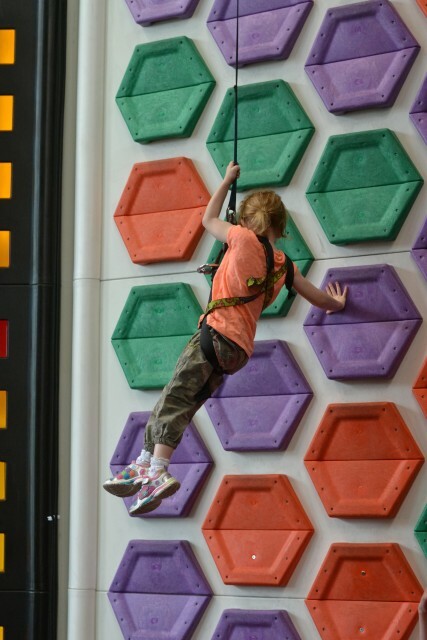 I try very hard to keep us all as active as possible on the weekends so when Rock Up at Whiteley Shopping Centre in Fareham asked if we’d like to try climbing there I jumped at the chance. 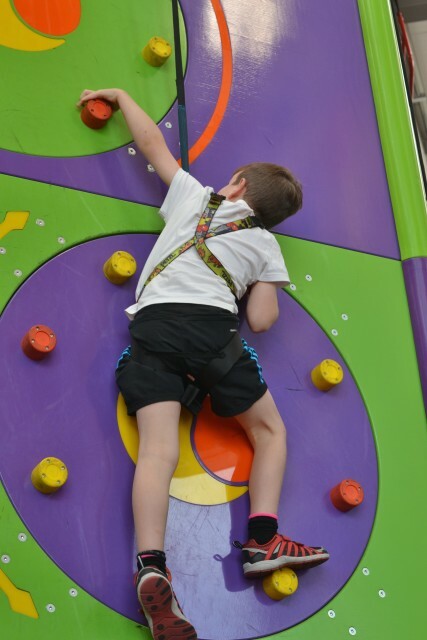 Zak, my 8 year old loves climbing, but has only ever tried the more traditional walls, so I knew he’d be very excited to try the funky looking walls at Rock Up. 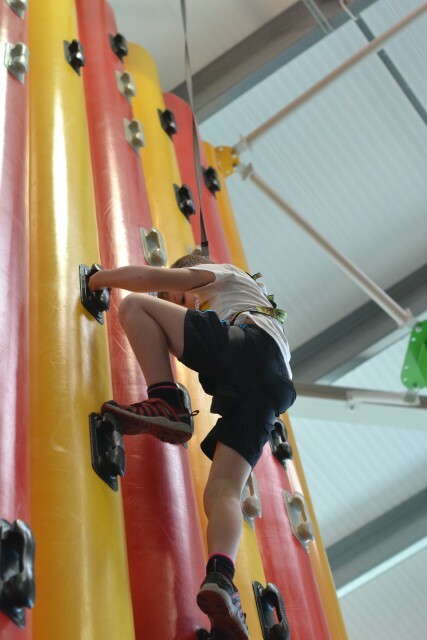 A session at Rock Up lasts for 1.5 hours, 30 minutes for a safety briefing and harness fitting followed by an hour in the climbing arena. Unfortunately we got stuck on the M3 and arrived with only 30 minutes left to climb, but the staff were fantastic, and got the children briefed and wearing harnesses in super quick time so we could make the most of the time we had left. The climbing is very well organised and efficiently run. If you want to climb a wall you stand next to it with your hand in the air and wait for a member of staff to hook you up to climb, then when you’ve finished with the wall, you raise your hand again and someone will unhook you. The children never had to wait very long before someone came to help, the whole process was very slick and easy. All three of my children and their cousins who came to join us, aged between 4 and 8 absolutely loved the climbing, and had we arrived on time, it would’ve been a great family afternoon adventure. As we were so late, I didn’t get a go myself as I wanted the children to do as much as possible in the short time we had, so I helped them instead, but next time I’ll definitely be having a go myself. It looked like so much fun and the little smiley faces were lovely to see. 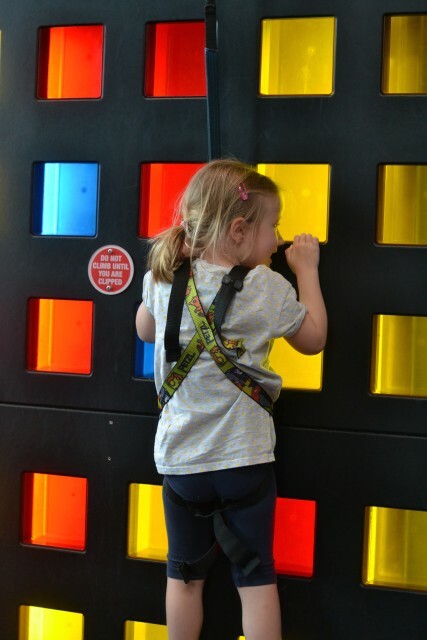 Rock Up also has a lovely soft play area for under 5s, perfect for keeping little ones busy while bigger children climb. I can also recommend the coffee and walnut cake and latte which were delicious and very reasonably priced. Zak was desperate to try Leap of Faith which involves jumping off a high platform and catching hold of either a grab bag or trapeze handle, it looked amazing, but we didn’t have time to try it because of our late arrival, but definitely will do next time we visit. Rock Up Whiteley is located just one mile from Junction 9 on the M27. Booking in advance is recommended. To climb children must be 4 years old. « Is three the hardest number of children? My eldest daughter would LOVE this! I used to really enjoy rock climbing as a child but heights seem to get the better of me these days, so I leave the adrenalin rushes to the 10 year old! Donna @ Little Lilypad Co recently posted..Why should I take my baby swimming when they are small? Wow. This place looks amazing. My boys love climbing. Wish there was somewhere like this close to us. We’re opening in Birmingham late Summer – so come and check us out up there. That looks great – I’m not a great climber but love abseiling down! I really really want to do this. I think my 5-year old would love it too! Right you have convinced me now to look into it properly! Ooh we’ve got something similar booked for my two and I’m a bit nervous that they won’t like it! Cass@frugalfamily recently posted..A few of my favourite frugal and thrifty bloggers…. 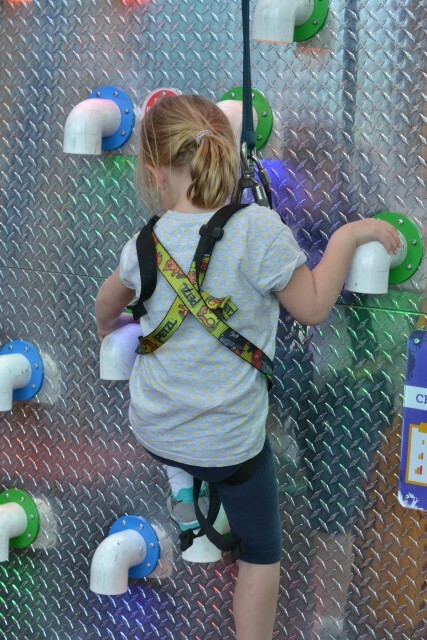 Kitty and Oz LOVE climbing at the park but our local climbing place only does it from 8 years old – might need to head down to Whiteley!